Walker & Dunlop, Inc. (the “Company”) announced that it recently provided $15,920,000 in Fannie Mae financing for the acquisition of 16 Powerhouse, a Class A multifamily property in downtown Sacramento, California. The Sponsor, Demmon Partners, purchased the property as part of a long-term Northern California portfolio strategy. The firm is focused on the Sacramento market, which has a professional and well-educated workforce as well as excellent projected investment potential. “We feel Sacramento’s fundamentals remain healthy as its job growth has been largely outpacing the national average in the past five or more years. In addition, we observe household growth as far outpacing the minimal new apartment supply locally. This has kept vacancies well below the area’s historical average, and I think it will last into the foreseeable future,” said Brian Kaufman, a vice president based in Walker & Dunlop’s Sacramento office. “With tight timeframes for the acquisition, a mix of retail tenants, a solar equipment lease, parking in part provided in stacking lifts, and rents that set market direction, this loan had some challenges. Our knowledge of and relationship with Fannie Mae as their #1 DUS® lender partner went a long way to ensuring success for the buyer,” said Walker & Dunlop Senior Vice President Mark Plenge. 16 Powerhouse is a five-story, mid-rise community with 50 one- and two- bedroom apartment homes, each furnished with the latest amenities and finishes. The ground floor features three street-facing restaurants, which add to the property’s vibrant atmosphere. 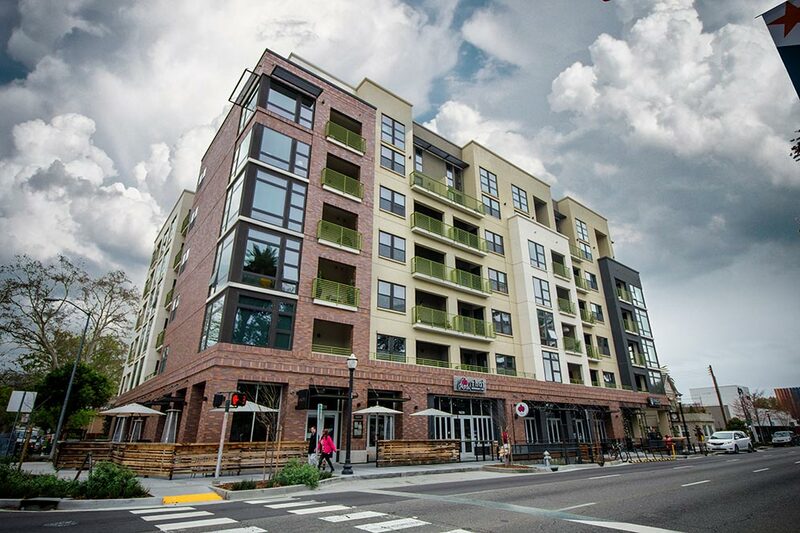 Located at the core of mid-town Sacramento, the neighborhood is pedestrian-friendly and very walkable.